The scan it's so beautiful, so, I wanted to vector it! If you want the original size and transparent version let me know :3! Oh my gosh, this is wonderfully vectored. The colors are beautiful and vibrant and this picture is too adorable. Thank you very much for sharing this picture. 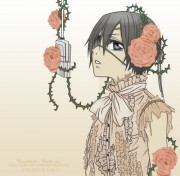 >_< I cant stop jumping up and down when i see Ciel in his little shy/cute mode! Thank you for this awesome vector~ yeah, I really like Ciel in this dress XD So cute! I love this amazing pic! he really looks like a girl! and he looks so cute! >.< thank you! THANK YOU! 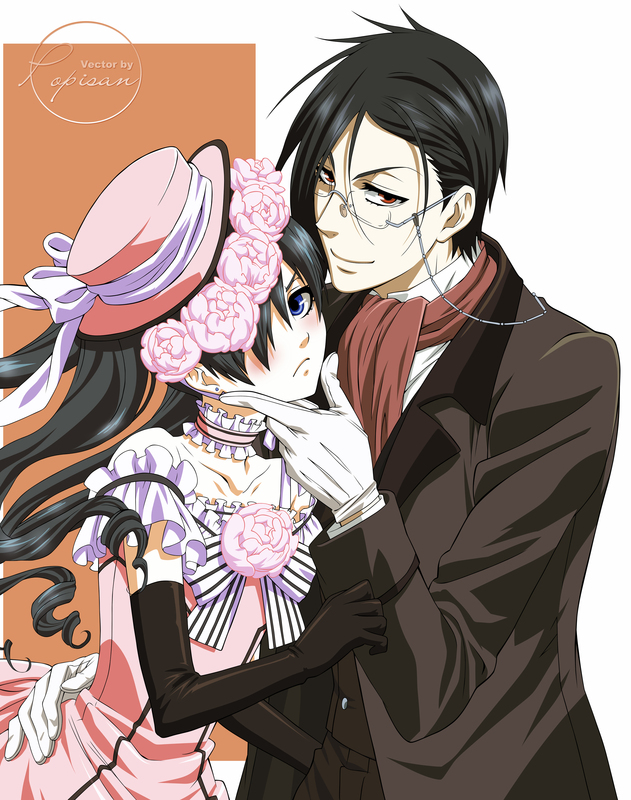 It's beautifully done and that is one of my favorite episodes as well as one of my favorite looks that Sebastian has Ciel's dress I instantly loved.Ah Sebastian Michaels, I'M IN LOVE WITH THAT BUTLER! Thanks again! Very hot and gorgeous Sebby!